The dragon lady stabs Obama in a very predictable victory which many pundits predicted. So predictable was it that Obama only went to west virginia about three times compare to Hillary thirteen times. Why didn’t he try harder to gain more votes? I have to ask myself and all of you out there,was he playing a strategy to get her to spend more of the little money that she have? 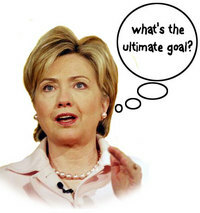 Did that two to one wopping percentage margin by Hillary show that Obama is unelectable and forever tainted? votes will tell. The writing is on the wall. If you haven’t seen it or recognized the signs of an ailing campaign battle which is almost over,then you should check your lens. If nothing is wrong with your lens,then check your head because the writing is on the wall baby. I first noticed it when she lent her campaign millions of dollars to pay staff earlier this year, then after two victories she made a appeal for people to go to her website to make donations. She have also started to consistently lend money to her campaign which is a historic sign when presidential run are also over. What could also be another sign is that Barrack Obama hinted that he could help her pay off her debt since he is swimming in cash at the moment. In every presidential campaign, when a candidate starts to borrow money it is the beginning of the end. Hillary and Obama have shattered many records in this campaign,raising over half a Billion dollar. But,will money or lack there of be enough to win the presidency? time will tell. Its doubtful she will leave even if she spend her last dime since she said shes’ not getting out and she have a wider base than Obama. If she have a wider base,then why is she behind? ahah maybe i am too dumb to know that question.